It’s a heating and cooling system. It works like a refrigerator; it expels and absorbs heat from the underground environment by a pipe’s nexus, which is buried in the depth of the earth. This pipe takes a fluid and brings down consumption of energy about 70 % like conventional refrigerators. As you know in the depth of earth, temperature remains constantly high, regardless of climate change. This pump uses the earth’s layer, where the temperature remains constant at 50 degrees centigrade; therefore this device provides reliable solution for your energy requirement. This system has had many benefits, it requires only a little maintenance. It has a ten year guarantee and works for decades without any complaint. It creates very little noise. It has required 1500-1800 foot pipe for 2000 square feet home. You should choose an energy efficient pump, this can be measured by the COP (coefficient of performance) and EER (energy efficiency rating). The COP and EER measure its cooling efficiency. If you want to select the energy efficient system, then look for the certification label that indicates 2.5′ COP and 13′ EER. 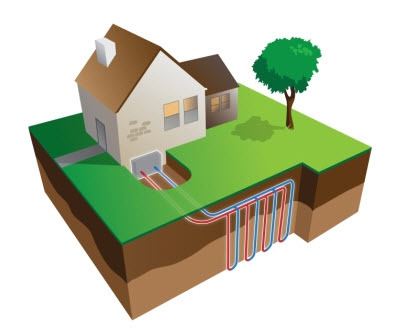 If you first determine, the hydrological and geological features of a place, where you want to install geothermal heat pump, then you would be able to select the best system for your place. For instance, if there is surface water body on your place, then an open source unit might be the right choice and if installation place is limited, then, you should select horizontal closed-loop unit. Though, a geothermal system must save your money in maintenance and operating expenses, still you have to save initial cost. 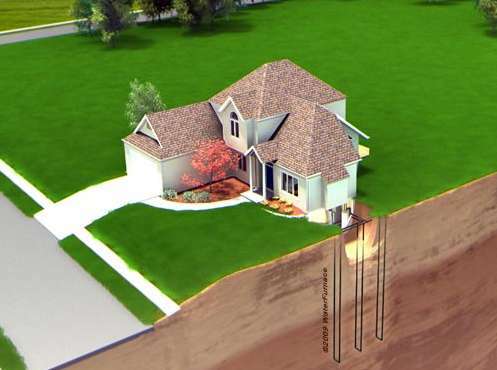 Roughly, geothermal system of three tons will cost you about $7,500, a normal home. You always explore incentives and financing options before buying. once you are done with selection and buying them, installation process gets started, in this connection, you should try to find a trustworthy and expert contractor for the installation work. You should look the one who has been doing this work since long period. He must have had a proven record of well satisfied customers, with fair offering prices. For installing the geothermal heating pump, you would need significant space for digging trenches, and for laying pipes. These pipes absorb heat from ground and keep your place cool or hot. The place must be sufficient for sinking the pipes vertically by boring holes of dozen meters. The installation cost might be appearing too much in the beginning, but surely, you will be getting it back in ten years, because this system can last about 25 years with proper maintenance. The maintenance of this system is vital. A well-maintained system, eliminate the unforeseen breakdown. It is necessary to check the filter & change, when the need arises, because filters and fan lower its performance. As it is environmentally clean, energy-efficient, most cost effective, so its use is very beneficial for all of us.